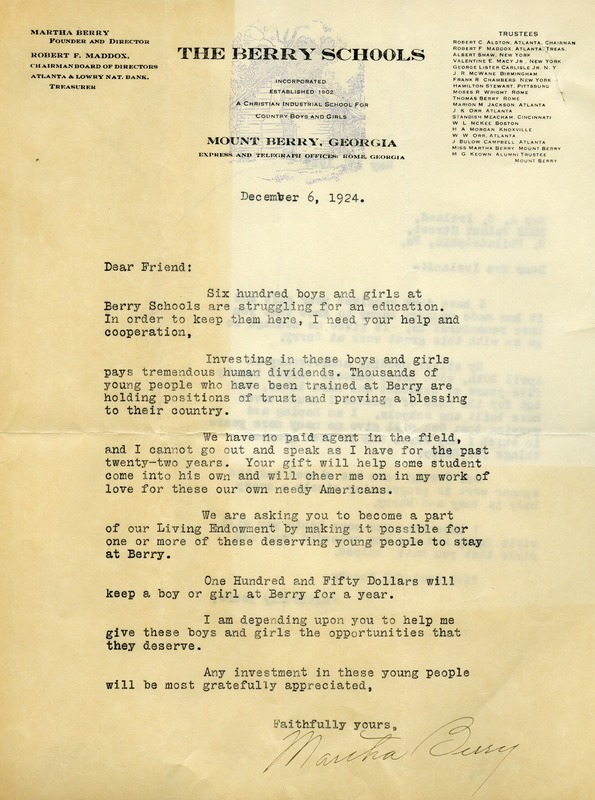 On the back of an old appeal letter Martha Berry thanks Mrs. Ireland for her gift and reminds her that on April 30th it will be the 25th anniversary with the schools. 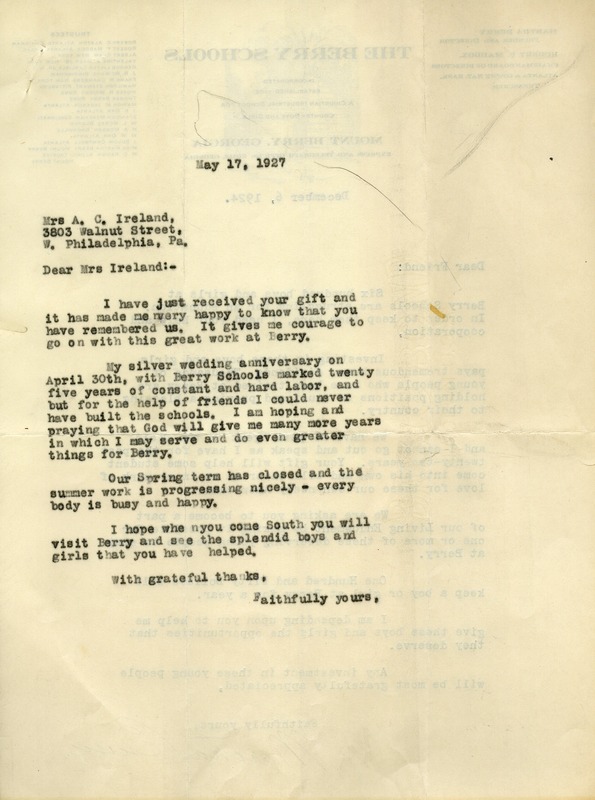 Martha Berry, “Letter to Mrs. A.C. Ireland from Martha Berry.” Martha Berry Digital Archive. Eds. Schlitz, Stephanie A., Jordan Brannen, et al. Mount Berry: Berry College, 2012. accessed April 22, 2019, https://mbda.berry.edu/items/show/6367.